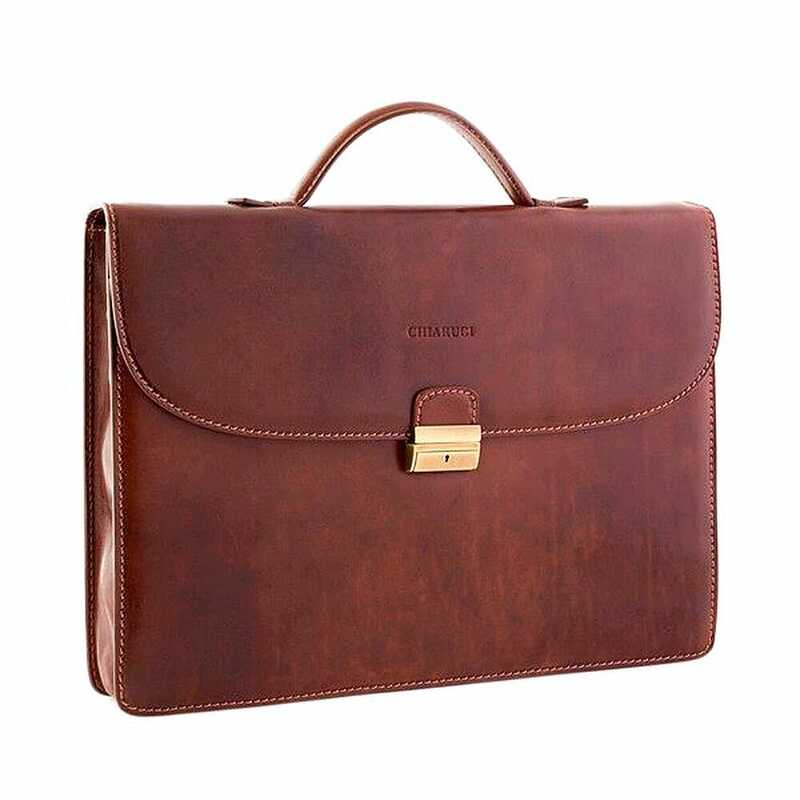 Calibri is the classical business briefcase, handcrafted, vegetable tanned and made of hand cushioned leather, tailored following the traditional leather processing system of the Leather District in Tuscany. Rigidly built, it is internally organized in a single lined compartment with an internal front pocket, an excellent business mate throughout the year. The comfortable adjustable leather strap is an alternative to the more classical leather handle.